This movie made me cry. A lot. Selma is undoubtedly the most emotionally affecting movie I saw from 2014. It’s certainly one of the best. If I could do a redux column of my favorite movies of 2014 (which I won’t because “in with the new”), Selma would earn a high place on that list. This movie delivers on its intentions beautifully -- it depicts a historical event in depth and with deep feeling and urgency, while also giving us insight into the people that were its central figures, treating them as human beings and not just names in the annals of history. This movie made my blood boil and my heart ache. I was consistently moved throughout Selma. Selma is like the movie Lincoln, but with a pulse (sorry Lincoln, I’m not a fan). Both movies deal heavily with the political maneuvering behind affecting policy change in the United States at two very different, but similar, times in history. That is a more accurate portrait of what Selma is trying to accomplish than saying it’s a straight-ahead biopic on Dr. Martin Luther King Jr. It’s about a sample size of his life, which acts as a representation of his overall spirit and aim. Shockingly, this is the first-ever theatrically released biopic (if you choose to call it that, as IMBD does) about Dr. Martin Luther King Jr. Isn’t that sad? Selma tells the story of Dr. Martin Luther King Jr.’s mission to secure equal voting rights, regardless of race, via a 50 mile demonstration march from Selma to Montgomery, Alabama, in 1965. The genius of the movie is that it shows that a key to the struggle of the Civil Rights movement (where the opposing sides were at a complete and unnegotiable divide) was winning over the portion of the population that was either indifferent toward it or unmoved to take action. The representation of President Lyndon B. Johnson in Selma is interesting in this regard. The movie has come under attack from some saying that it is inaccurate of its depiction of the former President, who is said to have been a stronger ally of the Civil Rights movement than is depicted in the movie. I’d argue that, while maybe not being completely historically accurate, this choice is emotionally true. President Johnson’s role in Selma is representative of the silent majority of the country at that time that needed to be moved or startled into change. It’s an economical story choice by director Ava DuVernay. Now I want to talk about the actual filmmaking, since so far I’ve mostly been speaking about its themes. The direction is controlled and passionate, with plenty of vision and authorship. This is definitely a calling card in the young career of its director (who I was only aware of before Selma from her contributions to the Roger Ebert documentary Life Itself). DuVernay makes some great choices, including not blunting the depiction of the hatred and violence in the era the movie is depicting, as well as bringing authenticity to the production by actually shooting in Selma, Alabama. It lends the movie an atmosphere of sadness and dread that could not be matched if it was shot on a set. The performances are also exceptional, particularly David Oyelowo, who is given one of his first (if not the first) major lead roles in a studio movie. He’s been strong as a supporting actor recently in movies like Rise of the Planet of the Apes, Jack Reacher and Interstellar, but his depiction of Dr. Martin Luther King Jr. is on a whole other level. It’s a really powerful performance. He does some great acting just with his eyes in the movie. Notice how heartbroken and angry they appear when he is in the quieter scenes in Selma. It’s like two distinct performances – his inner turmoil that has to be masked by a calmer, more diplomatic exterior. 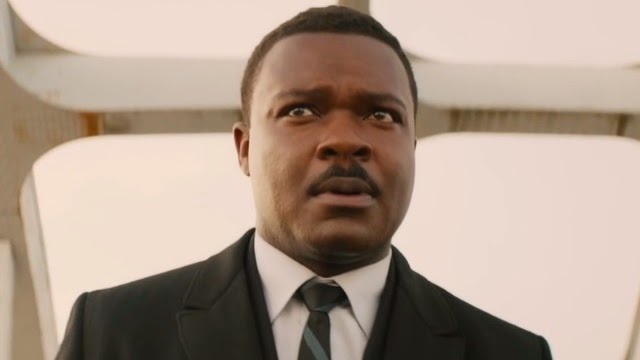 I also liked the choices by DuVernay, Oyelowo and screenwriter Paul Webb to depict Dr. Martin Luther King Jr. not only as a superhuman leader of a cause but as a man who needed his comrades to prop him up when he was suffering and in doubt. I also want to call out the character arc of Jimmie Lee Jackson (a young demonstrator who was murdered by the police) played by Short Term 12’s Keith Stanfield. This whole character arc is heartbreaking and expertly acted. This is the second movie of Stanfield’s where his performance moved me to big, wailing tears. He’s becoming the go-to-actor for delivering massive emotional impact in minimal screen time. 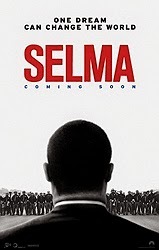 Selma comes one year after Lee Daniel’s The Butler, each with the participation of Oprah Winfrey, David Oyelowo and Cuba Gooding Jr., and I have to commend them for supporting these types of projects. It is slowly becoming a renaissance of the late '80s and early '90s in cinema, where we have movies brave enough to talk about race in America with sentiment and passion. As Roger Ebert would say, the movie is “a machine for delivering empathy.” It put me (as a white person) in the shoes of the white demonstrators and made me ask of myself “would I have the courage to join Dr. Martin Luther King Jr. in his demonstration march from Selma to Montgomery?” This movie should be shown in junior high schools and high schools to give a vibrant representation of the civil rights movement as opposed to an academic one. Selma is an important movie that can affect the way people think and behave, encouraging us to think about life and issues. Selma obviously affected me very deeply. That’s the power of movies – they can stir something deep within our souls at times. This movie made me feel sad and ashamed but also admiration for what the brave people behind the Civil Rights movement fought for and achieved. You can call me a bleeding heart for loving it or say that it simply appealed to my white liberal guilt. I don’t care. There are a lot worse things that I can be called or accused of. It moves me because it’s a human story of right and wrong. If you love good movies, go see Selma. It’s an absorbing experience. That's the single best review I've read for this, and I'd say it's due to the clear and simple honesty of your point of view. By being genuine, you've produced a genuinely moving review that would appear to do justice to what is apparently a genuinely moving flick (this is also the first review that made me feel bad for not having seen it yet). Be proud, Adam. This is great stuff, man. Interesting. I would have pegged this one as an overly self-important piece of awards season fodder, but I'm glad to see it might be more than that. I'll give it a shot. I just came out of the theater and am still processing my feelings about the film. I very well may change my mind by the end of the day, but while I thought there were amazing scenes throughout (especially the scene with the four little girls), the movie (like a lot of biopics) seemed to me to be less than the sum of its parts. At the onset, I was really hoping that I would feel the modern call to action by the end of the film, and for whatever reason, I felt that the film didn't do a good enough job of translating the events depicted into a parable for current America. 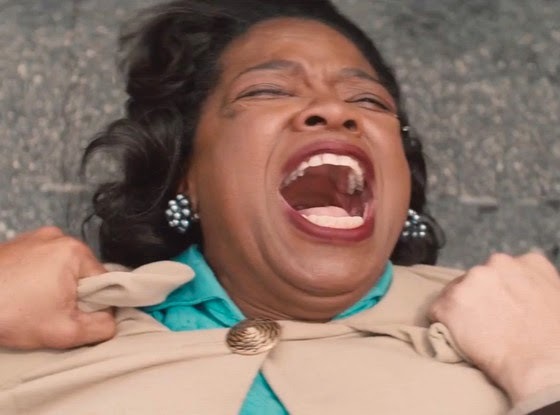 I don't think a biopic necessarily needs to be anything other than a portrayal of said events, but I left the screening feeling like I could have just listened to a recording of one of Dr. King's actual speeches and been more moved. These historical events are fairly well documented, as opposed to the events of biopics that focus on lesser-known figures or historical figures for which we have a barrier of communication (as JB mentioned regarding Lincoln, Day-Lewis felt about as close as we were going to get to hearing Lincoln actually speak). I'm really glad you had such a visceral reaction to the film; I was hoping I would too! It was definitely a good piece of film making. @Joe I never really felt like this was a biopic, although I recognize that might be strange to say; it felt more like a drama about the events of Selma to me. Going with this idea, I think the movie ends up avoiding the normal pitfalls of a biopic, and the narrative is a little smoother for it (although not perfect by any means). I really enjoyed the movie more than I expected as well. I sometimes avoid films like this because they feel Serious and Distinguished, but the emotional weight never felt cloying or sentimental. It's a bit genre-defying for sure. The film focuses enough on the supporting characters that the events can stand on their own, but there's also a lot of MLK-specific screen time. The acting and writing are good enough for it to work either way. It's a good, thoughtful, important movie. I really wish it affected me more on an emotional level, and some scenes do powerfully, but not the totality. I'm really glad that it affects other people so strongly though! Your review was very detailed and well thought out. I especially liked your idea to show the movie to junior high students which would make the topic come to life and be a starting point for discussions. 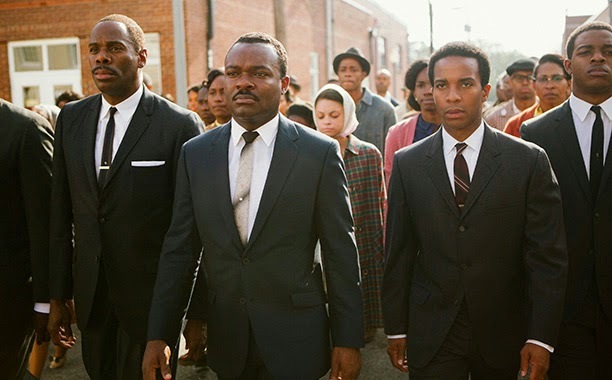 The movie reinforced the concept that periodically we all need or should be reminded that watching a movie like Selma is the only response that offers any hope for change. Thanks for commenting and welcome Rita! I hope younger people give this movie a chance for the reasons you state above. Great point.